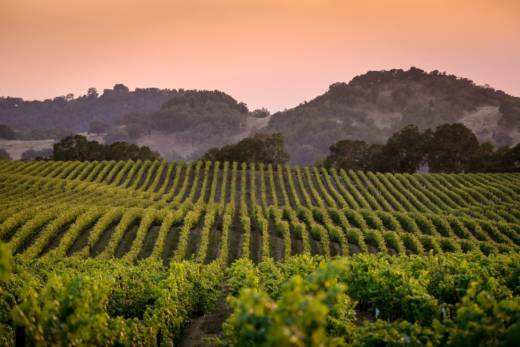 California's premier wine-growing region has been targeted for more regulation under the state’s new groundwater law, likely resulting in new fees and limits on water extraction for the industry. The state Department of Water Resources declared in May that 14 groundwater basins across the state are at risk of overdraft, and thus should be reprioritized under the Sustainable Groundwater Management Act. Four of these are in Napa and Sonoma county wine-growing valleys. The aquifers in question are the Sonoma Lowlands subbasin in Napa and Solano counties, the Alexander Valley basin and Healdsburg area subbasin in Sonoma County and the Wilson Grove Highlands basin in Sonoma and Marin Counties. Each is a vital source of irrigation water for grape growing. The department proposes to change these basins from “low” to “medium” priority under the law after reviewing new data on the severity of overdraft and land use in each region. Previously, their low ranking meant these basins got a pass from complying with SGMA. If finalized in November, medium priority will require each basin to form a groundwater sustainability agency within two years, and complete a sustainability plan within five years. Other groundwater basins in Napa and Sonoma counties are already subject to these requirements. The new additions mean virtually all of California’s top wine region now confronts costly groundwater regulations for the first time. Grape growing is the primary consumer of groundwater in each basin. “Nobody likes to be regulated, particularly when we are already doing our best to economize the use of irrigation water,” said Tito Sasaki, a board member of the Sonoma County Farm Bureau and a farmer who grows champagne grapes. Trevor Joseph, a supervising engineering geologist with the state Department of Water Resources, said the water demands of wine growing were definitely a factor in raising the priority status of the Napa and Sonoma basins. The new groundwater sustainability plans require each basin to reverse groundwater overdraft. This could result in new water conservation rules imposed on farmers. The basins could also be required to develop plans to recharge aquifers, which could mean buying surface water or recycled water. Groundwater users in each basin will probably be required to pay fees to support all these efforts. In Sonoma County, three groundwater basins were already ranked as “high” priority under the SGMA requirements. The Sonoma County Water Agency has been working under contract with groundwater users in those basins to organize new sustainability agencies and begin drafting sustainability plans. Jay Jasperse, director of groundwater management for the county water agency, said doubling the number of groundwater basins subject to the law in Sonoma County will add significant workload and cost. The expenses are numerous. At its core, the process involves creating a new government agency to regulate groundwater. The costs include selecting and seating a board, organizing meetings, complying with the state’s open-meetings law, hiring a part-time attorney and administrator for each basin, and developing all the usual policies and procedures required of any government agency. In addition, consultants must be hired to study the hydrology of the basin and, in many cases, to conduct a rate study to figure out how much each groundwater user should pay into the program. Other tasks are likely to include installing new groundwater monitoring devices on private wells throughout each basin and possibly even drilling new monitoring wells. Jasperse said Sonoma County has budgeted $2.7 million to fund the startup process for each of the three groundwater agencies it is already working on. Each of the three new basins will require a similar investment. The county obtained a $1 million state grant for each of the first three basins. Jasperse hopes the same will be possible for the additional three. He suspects the change in priority is a result of connections between groundwater and surface water. The Healdsburg groundwater basin, for instance, is connected to surface flow in the Russian River. The Dry Creek basin is connected to Dry Creek. The Sonoma County Water Agency manages surface flow in both of those streams via its control of upstream reservoirs. This gives it a direct role in the fate of groundwater in those basins. “Having surface water flows, and how those are managed – that’s very critical to the health of the groundwater aquifer,” Jasperse said. Two big questions loom over the future of groundwater in these wine-producing basins. First, what is the right path to sustainability? Is it through water conservation efforts, groundwater recharge, or some combination? Sasaki prefers to focus on recharge, he said, because wine growers have already done a lot to reduce groundwater pumping, including widespread conversion to drip irrigation. But that requires finding water to use for recharge, which won’t be easy in this already water-scarce region. Second, who should pay for groundwater management? Besides startup costs, there will be additional costs in perpetuity to monitor groundwater, prepare status reports, fund conservation efforts and plan aquifer recharge programs. Sasaki said the entire population benefits from sustainable aquifers and their connection to surface-water flows. Therefore, he said, the growers who extract most of the groundwater should not be solely responsible for groundwater management costs. He acknowledges this is not a popular position, especially since most cities in the region depend on surface water, not groundwater.